There are several different ways to find relief from indigestion. The heartburn treatment that is best for you will depend on several factors. One of the main factors is how severe your symptoms are and how long you have had them. Obviously, you want to choose the option that will handle the symptoms while having the least amount of side effects. The best acid reflux treatment will be the one which requires the least amount of medicine. This is also likely to be the least expensive remedy and the easiest on the body too! There are mainly four goals of GERD treatment. Goal 1: Physical wellness – Of course the first of these goals is to get the condition and its symptoms under control so that the person feels better physically. Goal 2: Healing of digestive tract-The second goal is to speed healing to the esophagus and digestive tract. You should aim to get rid of any inflammation or injury that may have occurred. Goal 3: Prevent complications-The third of these important goals is to continue to manage the condition to prevent serious complications or other conditions from occurring. Goal 4: Maintain wellness- The final goal of GERD treatment is to maintain the symptoms and keep it in remission so that daily life is not interrupted by symptoms. Before beginning any type of GERD treatment plan it is important to sit down and discuss your situation thoroughly with your physician. Once they perform some diagnostic tests they can begin to consider various plans for treating the condition. It will be necessary to continue long term plans to keep it under control as it will not just go away on its own. There are several options that are available. The one which is chosen will largely depend on the severity of the symptoms that are being experienced. Solutions may be as easy as making some basic lifestyle and dietary changes or taking some form of medications. But it may be so serious as to require surgery. The best option is the one which alleviates the symptoms and keeps them from recurring. Many times lifestyle modifications are done in conjunction with taking some over the counter medications temporarily. Then when the lifestyle modifications have taken effect and the symptoms have subsided the medication can be discontinued. This combination therapy would be the best acid reflux treatment. For those who over the counter medications do not work, it may be necessary to take some stronger products. These can be obtained from a doctor. And if that does not work it may be necessary to perform surgery. This option is only used if other long term solutions have not worked. These are the most common GERD treatments available. 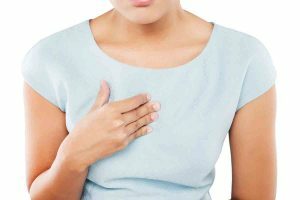 If it is possible to alleviate undesirable symptoms with simple lifestyle changes, then it is the best acid reflux treatment no matter how severe the symptoms. This option can help you feel better and it has a couple of other very important advantages. For one, it will not cost anything and secondly, there are no adverse side effects possible with positive lifestyle changes. Consuming food 2 hours before going to bed, elevating the head end of the bed and going for a walk are simple changes but can end up being the best acid reflux treatment. You may have spent hours wondering which heartburn treatment is right for you. You might have spent countless hours without sleep wondering how to get rid of acid reflux. General physical exercises like walking and swimming, that improve digestion, are the best lifestyle changes for getting rid of acid reflux. Adequate amount of exercises will help activate your digestive system and get rid of GERD symptoms. Some people can bring healing to the area simply by changing the way they eat. By finding certain foods that trigger an episode and eliminating them it can help reduce the symptoms and bring healing to the esophagus. If it is possible to control various types of indigestion symptoms by simply changing the diet, it is always the best option. Most of the time there are certain foods that trigger an episode of acid reflux. Identifying those problem foods and eliminating them from the diet is the best way to manage this uncomfortable condition. There are many sufferers who cannot simply change dietary habits to have such positive results. For these circumstances, there are many different medicinal options. Medications are not always the best option as they may offer temporary relief from some of the symptoms but not speed any healing to the affected areas. If medications are necessary for longer than two weeks, a doctor should be consulted to consider other GERD treatment options. Medicines range in strength much like the discomfort ranges in severity. It is important to use the medicine with the least side effects and the mildest strength that is possible. There are basically four types of medication that are used for heartburn treatment. A histamine receptor antagonist will help to decrease the amount of acid produced in the stomach. Antacids provide relief by neutralizing stomach acid. Proton pump inhibitors are obtained by prescription only and they help to prevent stomach acid from being released into the intestine. Promotility Agents work by speeding up the digestion process. This helps by moving the acid along in the process. If none of the medicinal remedies work for heartburn treatment there are also some surgical options. These are only used when all other options have failed or if it is ineffective. They are also an option for very severe cases. A fundoplication can also help relieve symptoms. It basically tightens up the flap that keeps acid from going back up into the esophagus. Radiofrequency is a mildly invasive procedure that can also help reduce the symptoms of reflux. The best practice is to choose the simplest heartburn treatment that works for your situation.